The yellowish oil, Flaxseed Oil, is extracted from the dried ripe seeds of the flax plant. Through cold-pressing and an optional stage of solvent extraction, we can get flaxseed oil. The flaxseed oil refers to the oil by cold-pressed oil without solvent extraction and linseed oil refers to the oil by cold-pressed oil with solvent extraction. In oil paint, linseed oil is the most commonly used carrier. As a wood finish, linseed oil does not cover the surface, but soaks into the pores, which leaves a shiny but not glossy surface that shows off the grain. The denting can be resisted and scratches can be easily repaired through Wood treatment with linseed oil. Besides, the surface of wood and oil is softer than a modern varnish, which can absorb moisture if allowed to stay wet. Unlike linseed oil, flaxseed oil can be eaten by human being. Thus, it is a very popular kind of healthy supplement. It is good for the general wellbeing and whole body nutrition and there are omega-3 fatty acids in it to keep the health of our body systems. There are omega-6 and omega-9 essential fatty acids, B vitamins, potassium, lecithin, magnesium, fiber, protein, and zinc in flaxseed oil. The amount of omega-3 oils is about 50% more than the content in fish oil without the bad fishy taste. It is suggested by nutritionists, researchers, and scientists that it might be the most important health-promoting supplement next to a multi-vitamin. Flaxseed oil is good for nearly every system in the body. Besides, our immune system, and our blood pressure can be kept healthy by it. It is beneficial to our hair and skin. People with allergies, cardiovascular problems, cholesterol levels, eczema, eyesight, weight management, diabetes, and liver problems etc. can also eat flaxseed oil. When flaxseed oil contacts with oxygen, it will be broken down by oxygen. Flaxseed oil will become rancid and produce an unpleasant smell. 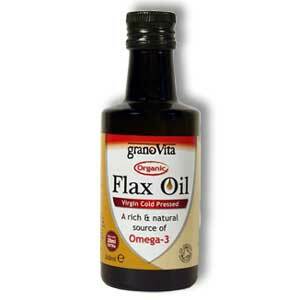 Thus, Flax seed oil can easily get oxidized and there will be less nutritional values. In the process of making and storing the flaxseed oil, remember to pipe flaxseed oil into plastic barrels which can prevent oxygen and light after cold pressing. Once the sediments have settled, siphon the pure flaxseed oil into lightproof package. The dark-coloured bottles are needed for flax seed oil. NNutrition information from typical commercially available flax seed oil has a very high concentration of phytoestrogens.